The ice cream business is not easy. It takes skill, experience and dedication to craft a creamy pint that can make people smile. It also takes a lot of hard work to get it from our dairy plant to store freezer shelves and into the hands of customers. But it’s not just our skill, experience, dedication, and hard work. So many people (with an abundance of those talents) have helped us along the way. One of those people is Gaia Diloreto at By Brooklyn. We want to send a big super-sized shout out to her for bringing each of those things to the communal table. Her shop really reflects the whole Brooklyn artisanal spirit of helping food producers and entrepreneurs get some footing in the market. It provides a great way for Brooklynites and friends to support this economy and get unique and beautiful products in the process. 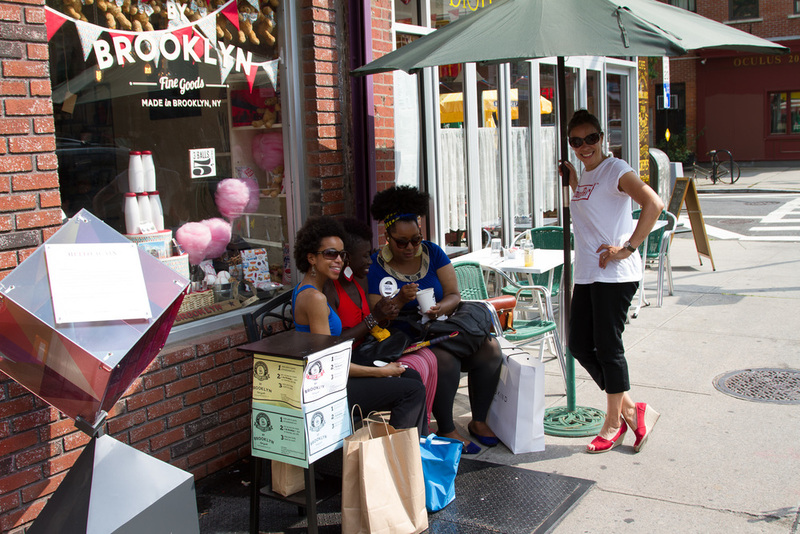 This past Saturday, Brooklyn Bell had our first ice cream Pick Up at By Brooklyn. 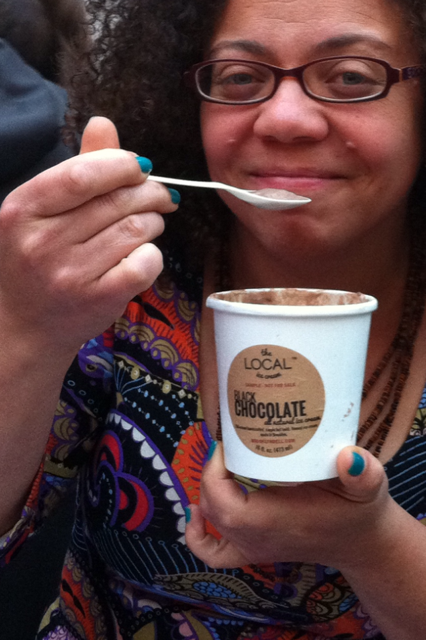 The event provided us with the opportunity to let people taste The Local Ice Cream and get the word out on the street about this special product. This neighborhood really welcomed us in, and we cannot thank you all enough, especially you, Gaia! In fact, the event was so successful, that we believe it will have made us able to make our ice cream more widely available very soon. Stay tuned for more news on that later! The lovely Gaia Diloreto of By Brooklyn! Kati w/The Local fans in front of By Brooklyn.